I’ve been super busy lately sorry for thr lack of updates but I’ve been taking a break from the Skyline and taking care of everything else that’s been neglected lately. 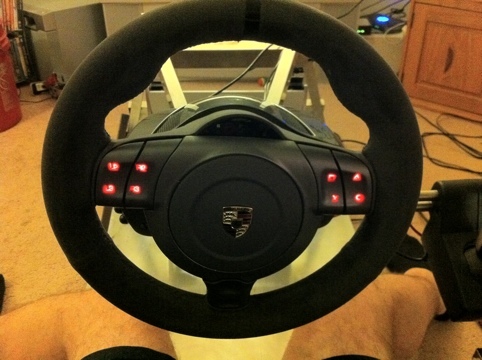 I ordered the new Fanatec gt2 wheel at the start of December and it’s been back ordered till now. Well finally got it and I must say that it is amazing! So worth the extra money over the g27 wheel. Starting with the pedals they use a load cell for the brake pedal that makes them feel so much more accurate because they actually measure force applied instead of a stationary switch. 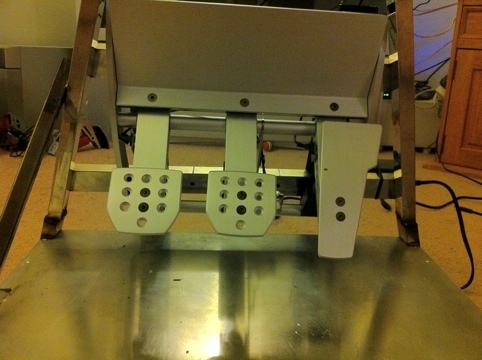 The pedals are completely adjustable with a tuning kit that includes different springs and bushings. I haven’t finished perfecting the pedals yet but they feel amazing already. The pedals also have an abs sensor so when you are pressing too hard they start to shake allowing you to feel the threshold of maximum braking. It works great and feels very realistic. The steering wheel is belt driven and has zero dead zone unlike the g27. It also has every tuning option you can imagine on the wheel. You can add a deadzone for games that need it, you can adjust the wheel turning radius from 280 to 900 degrees. The force feedback is amazing and completely adjustable, spring force and dampening force. In short the wheel is amazing! The company is working on a nicer shifter and ebrake. The new brake will use a loadcell so it will be like the brake pedal. The only complaint I have is the shifter but I think that is mainly the flimsy mounting once I build a new simulator to take advantage of the new wheel I think the shifter will work great. Oh yeah and best part it works with xbox too! ~ by B. Rogers on February 27, 2011.
the head. The problem is something too few people are speaking intelligently about.